R.I.P. Michael Gough!!! You were an amazing actor!!! 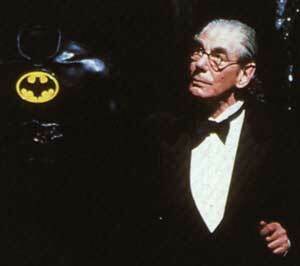 Actor, Michael Gough who is most known for his role as Batman’s Butler, Alfred in the four Batman films starting with Michael Keaton has passed away at the age of 94. Michael Gough has an impressive resume dating back to thte 1940’s with films like: Dr. Who, Pride and Prejudice, Out of Africa, and Top Secret. This entry was posted on Thursday, March 17th, 2011 at 12:38 pm	and is filed under Film, News. You can follow any responses to this entry through the RSS 2.0 feed. You can skip to the end and leave a response. Pinging is currently not allowed. « Get Brave and Bold With Batman: The Brave and the Bold For Your Geek Deal of the Day!! !